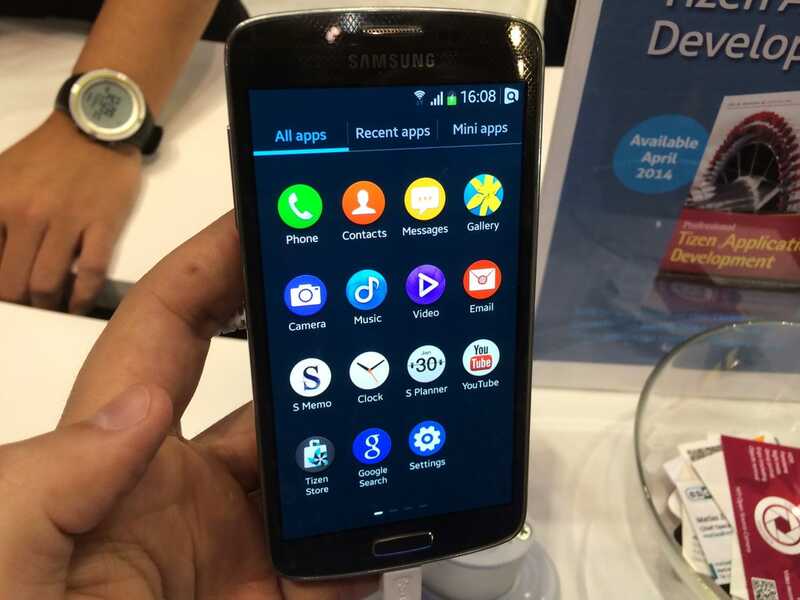 Steve Kovach/Business InsiderA prototype Samsung phone running Tizen. Tizen is very similar to Android. It’s open source, meaning any smartphone maker can use it for free. It’s also a way for Samsung to wean itself off Android and use its own software instead. The theory goes that Samsung is ceding a lot of potential revenue to Google because it has to offer customers Google’s app store and other services if it wants to keep using Android. Samsung is the biggest Android phone maker in the world, but it’s still giving a ton of control over its future to Google. Yet, it sounds like Tizen is faltering. Samsung’s chief architect of Tizen, Taesoon Jun, told CNET’s Shara Tibken recently that the company is shifting its plans for the operating system. Instead of loading Tizen on high-end phones with specs similar to the Galaxy S5 or Galaxy Note 4, Samsung will put it on cheap phones to compete at the low-end of the smartphone market. That’s a troubling sign for Samsung, which has been struggling all year to combat dwindling smartphone sales and profits. Profits were down nearly 50% in the third quarter, and Samsung blamed increased competition from other smartphone makers. For example, the Chinese startup Xiaomi makes phones with high-end specs similar to what you’d find in Samsung’s best phones, but sells them for about half the price. Xiaomi is now the third largest smartphone maker in the world in terms of unit sales. Still, Tizen isn’t just for phones. Samsung also uses the operating system on several of its smartwatches, which is seen as the next major product category for mobile device makers. On the other hand, Samsung’s watches have been poorly reviewed and there aren’t any indications that they have been selling very well. Samsung is still very profitable, but its next challenge is to find a way to differentiate its phones from the competition in order to stop its drastic decline in profits. The best way to do that would be to innovate on the software level, and Tizen was a big opportunity for Samsung. But it seems like it’s just another Android clone that will be used in cheap phones.